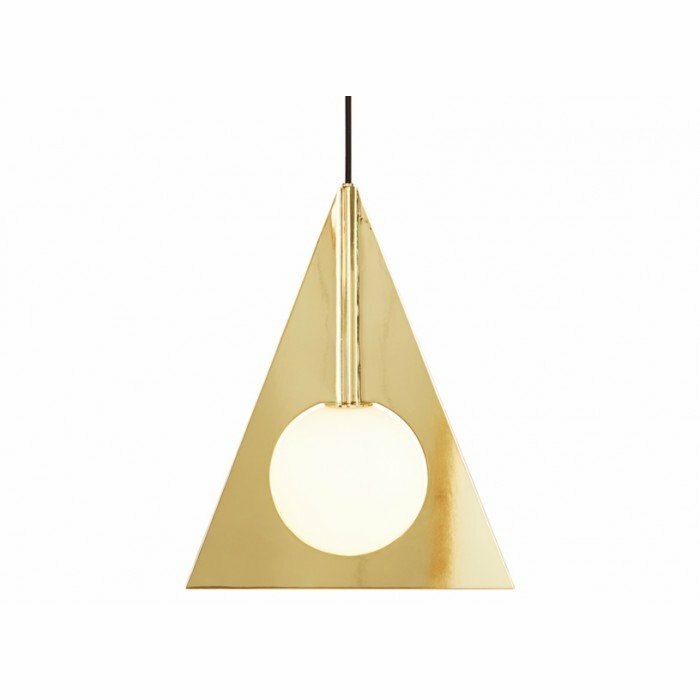 Plane triangle pendant is characterised by its simplicity and bold geometry: basic silhouettes made from a brass plated steel frame and a double layered white glass sphere. Plane is an exercise in expressive minimalism and creates a mysterious optical illusion. Designed in London.